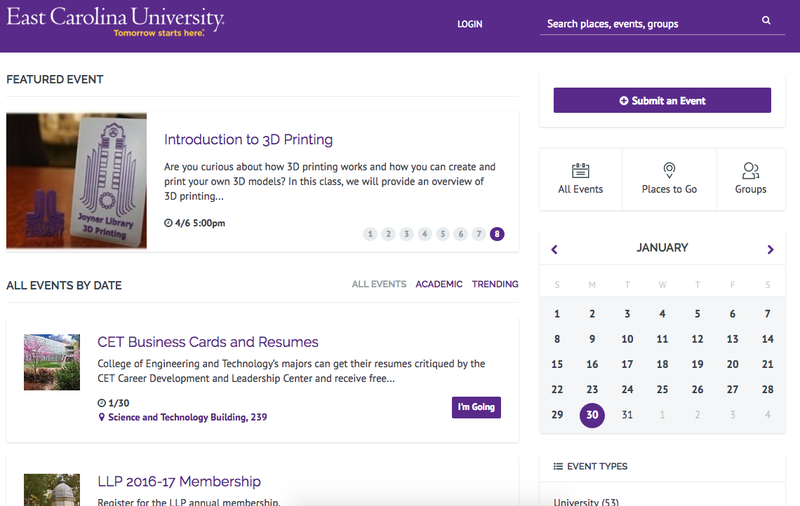 I was recently speaking to a Director of IT at a university campus who told me about a challenge that the new president asked him to solve: the president wants to know everything that is happening on campus at any given time while also having a solution that looks nice on the website and communicates to faculty, staff and students what events are going on. This conversation made me realize that a lot of people see scheduling software and the events calendar on their website as one and the same. As a professional in the calendar business, I thought it was important to highlight some key reasons you should actually separate your scheduling software and website events calendar. Most scheduling softwares don’t index each event as a separate page, which means it is harder for someone looking at the event listing to share it with their network. You are also missing out on the SEO benefits of indexing webpages, since events can be used as content marketing. When you have more than five events a day, it becomes hard to read in your standard 30-day calendar view. Consider switching to a week or “most popular” view to highlight top events. Think about the time you put into your website. Chances are you’ve redesigned it in the last few years. How much time did you spend making sure each page matched your brand? Now think about your calendar. It is one of the most popular pages visited on your website. Why should the branding be any different? 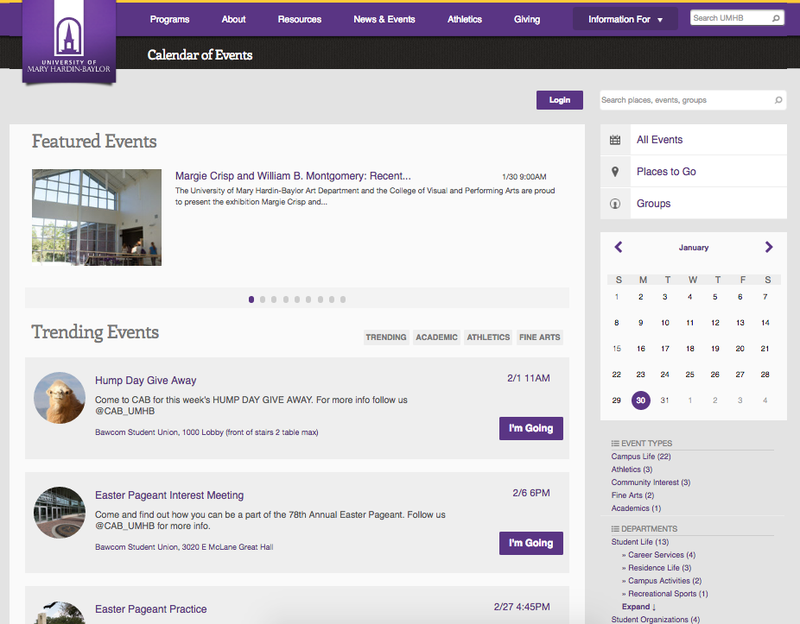 Make sure your calendar at least has your school’s URL, ties back to the homepage, and has your logo and color scheme. 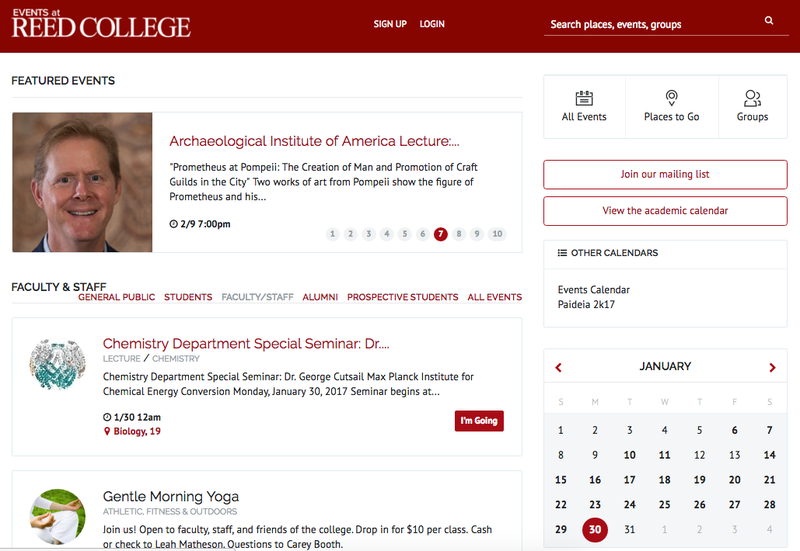 The content on your master events calendar should be carefully curated. Should everyone in your community know about a professor’s retirement party or a wedding being hosted in the chapel? Make sure you set up filters so that only the events you want everyone knowing about are on your main calendar. When scheduling and calendar softwares are kept separate, both are able to shine in the arenas where they excel. The right calendar should be SEO- and user-friendly, blend seamlessly with your branding and allow admins to curate content and present it in a way that it best suited for your audience. At a bare minimum, these features will allow your calendar to market itself while your team focuses their efforts on getting the events off the ground. Have a question about keeping your scheduling and calendar software separate? Let us know in the comments! Get the latest insights and articles delivered right to your inbox. You are now subscribed! Your email is invalid. Should I Charge for My Event?